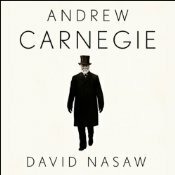 Yesterday, someone in the Twitterverse mentioned my recording of Andrew Carnegie by David Nasaw. This is a coincidence because I was going to blog about it so I'll do it now. I love good bios. They're fascinating, inspiring, transporting--they take you to another time and place and introduce you to people you'd love to meet, or even be like. I recorded a lot of them way back when--the wonderful Horowitz/Collier books about the Fords, the Kennedys and the Rockefellers; William Manchester's stunning book about General MacArthur (still up on Audible); David McCullough's fantastic books about Teddy Roosevelt and Harry Truman, and so on. To me, this is Narrating with a capital N--sitting down in the booth every morning and learning incredible stuff about people and history. It doesn't get better. I did the Carnegie bio for Gildan Media, which is run by Gilles Dana, formerly of Simon & Schuster Audio. Gilles is an interesting guy, very busy and very elusive. In the five years I've done books for him I've only met him once, and that was a ten-second hand shake at APAC. But he picks some cool books and you should do a search on Audible, since his products are download-only. I was fascinated, in a gory way, by the few comments on Audible for this one. I mispronounced something (ZOMG!!!11!!) or it was too "detailed." Phooey. The two sensible comments have it right--it's a wonderful bio that, like Caro's books about LBJ, makes you admire and loathe the guy at the same time. Very much worth a read. 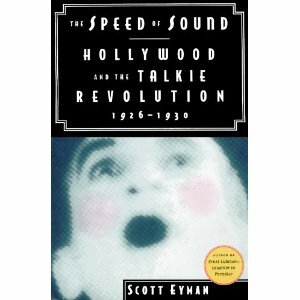 Please please PLEASE let me record every single book by Scott Eyman, the superstar of Hollywood historians. If you love movies and have not read his books, get thee to Amazon and buy them NOW. The Speed of Sound is a brilliant book about the transition from silents to talkies, and made me appreciate the art of silent film in a way that I (and probably a lot of us) never have. (Blackstone actually has this one--oh, that I could have read it!) It's also something of a myth-buster, dispelling many cliches about silent films and the early talkies, which is fun. His bio of John Ford is just exceptional. Here's a director I was never that crazy about but you really learn to appreciate his work by reading this. (Now, every time I take a hike in the glorious Oregon mountains and high grazing country, I can't help but think of a John Ford movie.) The Cecil B. DeMille book is great, the Ernst Lubitsch book is very nice, and the Louis B. Mayer bio is a revelation. Again, the "Caro" syndrome kicks in here, wherein a biographer was prepared for one thing and discovered something quite different. Eyman is a fantastic writer and you always feel that there is a real person behind the writing--his occasional personal comments are like little "Easter eggs," as they say in the gaming world. I'll sit by the computer and wait for the flood of emails. 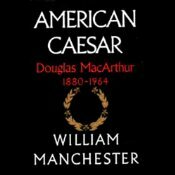 I need to listen to AMERICAN CAESAR. I read the William Manchester's fascinating book decades ago. Thanks. He was a such a great writer. The Glory and the Dream is still up on Audible, though not by me. I did it for Books On Tape but that one is long gone.